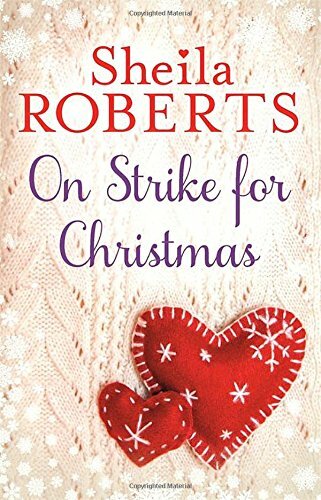 On Strike For Christmas by Sheila Roberts is another delightful offering, and just perfect for a heart warming read on an Autumn evening. As Thanksgiving ends and Christmas approaches, Joy and Laura, fed up with doing all the preparations and parties single handed, decide to go on strike for Christmas. If Christmas is to happen, then their husbands will be organising it. The local paper hears of the strike, and soon many more women have joined it. The men of the town of Holly are going to find out just how much hard work goes into making Christmas appear to run smoothly. On Strike For Christmas was a highly amusing read, as men all over town launched from one disaster to another, with very humorous results. It was a compulsive read that had me smiling throughout. Setting the amusement aside, the novel showed several different marriages and family make-up’s. it had the themes of love and commitment within its pages. Not all the characters had families, but they were all searching to belong and be loved. Everyone wanted to celebrate Christmas but Sheila Roberts showed that while we all yearn for a happy, cosy Christmas, sometimes the reality is hard. What about the widow? The single parent with little money? The person fighting cancer? Sheila Roberts sensitively and lovingly covered all these different situations within the novel, bringing a tear at times to my eyes. Within On Strike For Christmas there was a wonderful feeling of small town community. People looked out for others, offering advice and friendship. I should love to be part of the town of Holly, who wouldn’t? The novel celebrates Christmas but it also celebrates marriages in their various shapes and sizes. Sheila Roberts shows spouses having differing opinions and having moods with each other, but underpinning it all, is love. This is the third Christmas novel that I have read by Sheila Roberts, and I have enjoyed them all. She writes with warmth, with humour and with an infectious Christmas spirit. I fully intend to search out more novels by this wonderful author.